Browsing YJ, I've found it at crazy reasonable prices before-- but never realized how much I actually wanted it back then. I need this Pansear in my life. There's no way I can afford to win-- or even bid/ship a GA for-- the lot when it has Arcanine, Espeon, and an HQ Eevee, so I turn to all of you, instead. Does anyone have a Super DX Pansear they're willing to sell? Since the last one I saw ended at 1000 yen for a set of all three monkeys, I'd rather not go too high. But since I'm constantly finding Pansage and Panpour for cheap, I'll definitely accept that this one's the rarest or most expensive in the group. It's going to be for cuddles, so the hang tag and string aren't an issue, but clean fabric is! The more minty and unloved, the better. 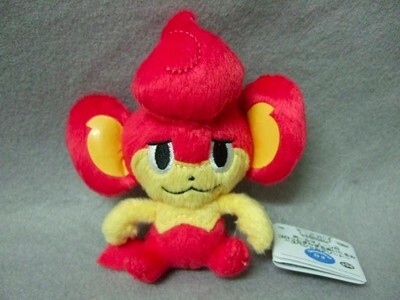 Okay, Super DX is on hold while a GA exists with it, but since I'm really nearly considering collecting this little fluffball, if anyone has other Pansear items, I may buy them, too. 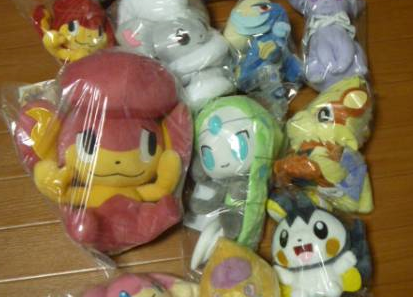 I only have the Pokedoll, Pokecen plush, and MPC so far. Kids, Tomy plush, and cookie strap are the most appealing right now. Shipping would be to Canada, and I can only pay with Paypal. Please check out your shipping quotes for the plush GA here. It would be awesome if I could get this year's shipping completed over the weekend. Alsoooo I found this a few days ago in Threadless!!! Charles Darwin!!! explaining his theory of the evolution of Pokemon! X___X so much awesomeness!!! I saw many "want" posts around here and I was wondering to see some things you guys might be have for sale. Oh and I'm curious to see any kind of Zoroark or Serperior products as well! EDIT: There's already some nice suggestions but I'm open to see more! I will only settle in one product by next week, I want really to know everyone's varieties. Howdy! First off, I have a question for all you TCG collectors out there. I am pretty big into collecting pokemon cards. And lately I have been considering maybe getting a few of my rare cards graded. Now my question is...have ANY of you got a card graded before? If any of you have I have more questions to ask! Than for all of you TCG out there...do you collect certain type of pokemon cards? Why do you collect the ones you do? Are you picky about how mint your cards are or it isn't that big of a deal to you? What is the MOST money you have ever spent on a card alone? How do you organize your cards? I collect cards because that's what I started with...and I don't know why, but they just make me happy. Hi everyone :) I am finally done with my 2 worse exams (Yay I survived!!!!) I am not sure if I did well ^^' oh well! I just wanted my buyers to know that everything is well packed and ready to be shipped :) I am only waiting for my man to arrive. I believe they will all be sent by 5pm today ^-^ I also wanted to thank you for being my first customer on this community! I am not sure how long it should take for them to arrive but like 2 weeks ago I sent two packages to the US and both of them took 7 days to arrive. A week exactly counting the weekend :) hopefully all of those box will take the same time. Here's a little picture of your package ^-^ are they not pretty? The plushies are only there to hind the address :) I also did some modification to the photo to hide 2 address that was not hide by the plush he he ^-^' those box are really sturdy, I am pretty sure I can stand on them without bending them! I only collect Kids so I'm not familiar with other merchandise...but I got some mini figures in a lot of Kids I won and I'm curious as to what they are? Help on locating an online shop? So a few nights ago I was lurking around on the community, and I noticed that someone wanted to find themselves an eevee blanket, and someone replied with three Japanese shopping websites. I noticed that things were a little cheaper on there, but I was on an internet phone and therefore couldn't make an account. I'm looking for Flareon things at this point in time, as my Arcanine plush is good enough for me to sit back and relax. 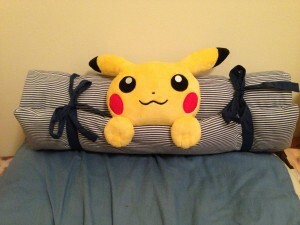 Mareep collection is good, I'm THINKING about collecting Marill more often, and my Dragonite pillow is pretty baller, so I needed to start focusing on another favorite of mine. After many months I finally have the time to do a collection update (and everything has arrived in the mail). Yes, yes we do. You're only in one picture so don't complain. And for the people that asked for feedback from a GA/purchase I'll get to those later today or tomorrow. Good luck to those out there with final exams! And a good day to everyone else. please check under the cut for claims and details! I tried to join a while ago, but there were some difficulties, thanks to godudette for helping to sort that out. Anyways, I'm Neosquid, a long time Pokemon fan into the video games and plushies. I'm on Bulbagarden Forums if anyone has an account there. I think that's it for now. I'm not sure how much I'm willing to spend right now, but we can work something out if you're willing to sell. 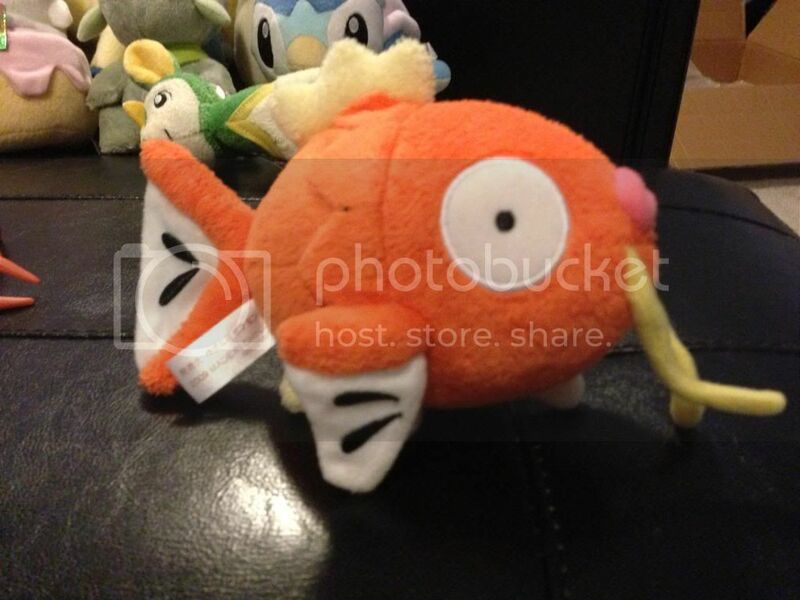 Reminder that my auctions end tonight , one of which including a Magikarp Pokedoll! Auctions can be found in my sales post! You can find it by clicking the picture above or here. Today I have a lovely, minty Umbreon I ♥ Eevee keychain plush! 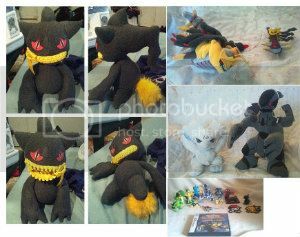 Umbreon is the only one for sale! Ventus the 2nd, the Eevee and Infection the Vaporeon are pictured just for size reference! Umbreon will be $23 shipped within the US and unfortunately, at this time, I cannot ship internationally due to the holiday season. Good evening community, long time no see! I suppose I should make some sort of re-intro post, but maybe later. Life devoured me alive for the past few months and Im just now getting everything back on track! First, I know there may be a couple members looking to contact me! I have PM'd everyone that I could think of, but may have missed someone, so I'm putting this here just in case! Click the banner below to be transported! What is this? I know it's a pokedoll badge,I wanna know how rare it is? 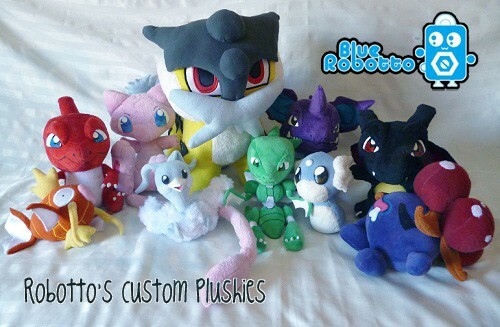 (not how much it costs, as with most pokedoll items from years ago, theyre probably not cheap." But wanna know if it's very hard to find? I choose you, best friend! So some of you may know I was recently in Japan for the past weeks, and naturally I came home with a buttload of Pokemon goods. ^^ Items include Pokemon Center and the obligatory Eevee purchases, food products, hard figures, plush, and other miscellaneous gets from treasure hunting! =D Characters include Piplup, Raichu, Spheal, Charmander, Mew, Bulbasaur, Articuno, Marill etc etc. I know there's a bit of Eevee fatigue so I moved all Eevee gets to the end of the post for quick fast-forwarding. xD The post is image heavy like mad so beware! Thank you for reading! Hope everybody is having a great December! I need help I search for the Jolteon Pokecen charm. Paypal on ebay don´t ask me why I know not of paypal but my mother say me that. 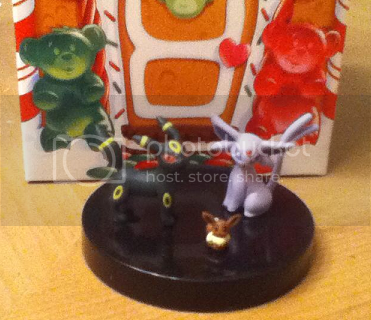 So I want to ask if anyone has the Jolteon charm and can maybe do it for me on eBay if this is possible. I had already buy one from ebay but it never came to here the picture from it is this seller where I buy it. I'm waiting on one thing before I update my lovely bug collection, something I'm way behind on doing. In the mean time, I've been working on once of my side collections; Pokemon teams! I'm just focusing on one at a time, starting with my all-time favorite team; my Crystal team! 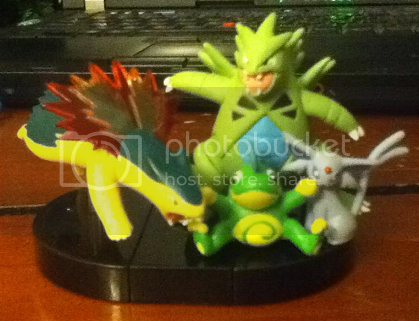 I'm mostly done because I finally got the Cyndaquil line :D (all I need are Pichu, Skarmory, and Suicune). Politoed and Espeon were a gift from the ever amazing Irene ^-^ Tyranitar line I bought from a con and Typhlosion line comes from a trip with one of my best friends! In my zukan hunt (I have other Zukans I'll have to show off later, I've started collecting them), I came across an Umbreon/Espeon zukan. I already have the zukan piece from this set that I wanted and I know this set is usually wanted by collectors, so I thought I'd take offers. I can provide better pictures upon request. My camera is dead, so all I have is my iPod Touch at the moment. Offers start at 10.00. Please comment in the appropriate thread!